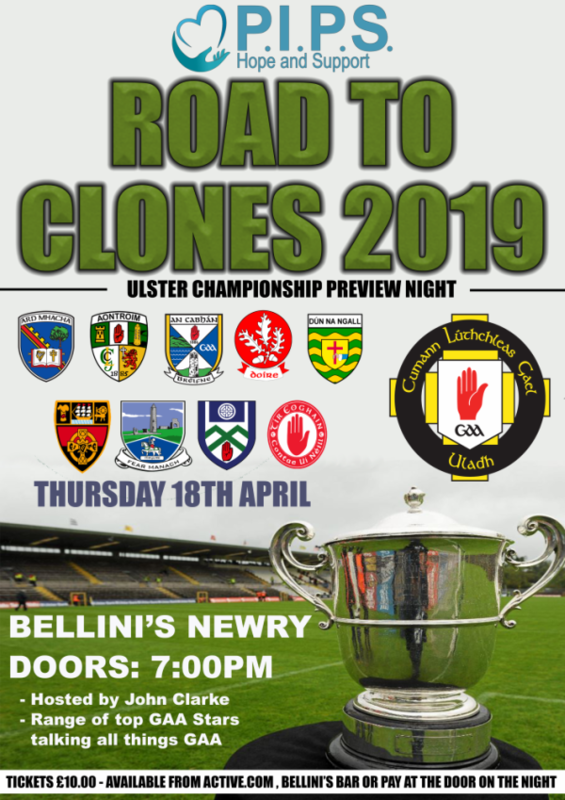 PIPS Hope and Support have organised a 'Road To Clones' event which will see GAA stars past and present join the discussion panel to talk all things Ulster Championship. You, the audience will also get the opportunity to put your questions to the panel. Family friendly show, so children are most welcome to come along with parents/guardians. The event will take place on Thursday 18th April 2019 in Bellini's, Newry. Parking available adjacent to the building.